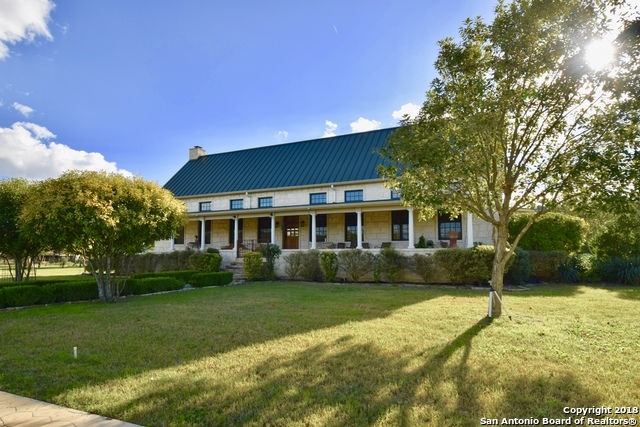 All Ingram homes currently listed for sale in Ingram as of 04/22/2019 are shown below. You can change the search criteria at any time by pressing the 'Change Search' button below. If you have any questions or you would like more information about any Ingram homes for sale or other Ingram real estate, please contact us and one of our knowledgeable Ingram REALTORS® would be pleased to assist you. 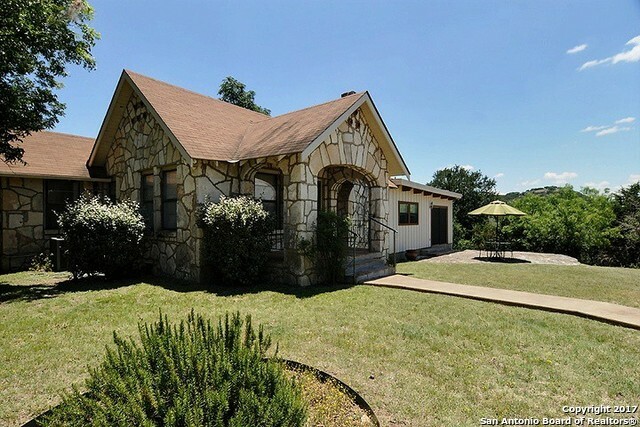 "Southern, TX Style home nestled in Johnson Creek Valley on 9.5+ lush AC w/views of surrounding hills & dramatic bluffs. Stately white columns adorn 20x70' sprawling porch beneath a deep overhang. Enter into a spacious stone-clad gallery, opening into the fabulous great room boasting, high wood ceilings, massive rock fireplace and interior rock work, rich wood floors, large, plentiful windows throughout, family-friendly great room & beautiful kitchen that flow into a game/rec room w/fireplace & f"
"Great opportunity to own Guadalupe River front property and 15.85 acres with two homes. Main home and attached guest home. Views of river from upstairs deck. Easy walk right down to the river (or drive your truck too). Huge hill with site cleared for a new home, if buyers wish. Open pasture & so this is perfect for horses. Hunting is also allowed. Buyers could open up a B & B as their are no deed restrictions on this property. Master suites either up or down. Large office. Barn could serve many "
"135.83' Johnson Creek frontage. No Restrictions! 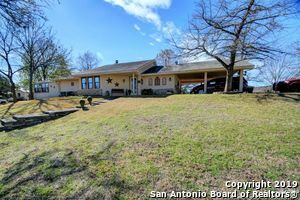 Stucco & rock home on 5.32 acres offers high ceilings & lg stone fireplace w/ live-edge mantel shelf in living. Kitchen w/breakfast bar, SS appliances & plenty of cabinetry & storage. Private master w/ lg windows, fireplace, en-suite bathroom w/ shower, laundry & lg walk-in closet. Bright office w/windows on 3 walls. Split bedroom plan w/good sized guest room & full bath, Cov'd patio & pool is perfect spot to bbq, relax & watch nature. Mature tree"
"Own your own Vacation Rentals with this one of a kind family compound in Hunt. 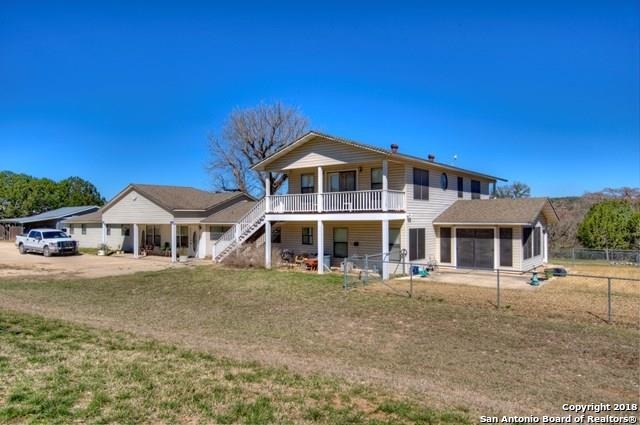 Situated at the entrance of Canyon Springs Ranch this UNRESTRICTED 2.30+ acres consists of three buildings. The main building is 4BR/2BA w/2500+sq. ft. Part of this building was the original Schumacher farm house. The efficiency apartment is 410+ sq. ft. AND the third building houses the Kickback Cottage which is 1400+ sq. ft. with roomy 2BR/1.5 baths. The property has beautiful VIEWS of the surrounding hills."